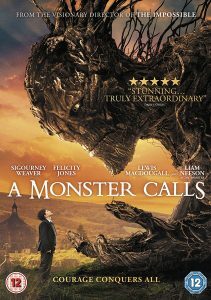 Based on the novel by Patrick Ness (who also wrote the film), A Monster Calls tells the story of 12-year-old Conor and his journey dealing with his mothers illness. Amongst the school bullies, divorced parents and strict grandmother, Conor is visited by a tree like monster who will tell him 3 tales before Conor himself must tell the 4th; his nightmare. Director J.A. Bayona balances fairy tales, creatures and real life drama effortlessly. Movies that approach harder subjects for children seem to find it difficult to convey them without using bright and colourful characters (such as Inside out). This may not be the lightest of family films but it depicts a very real subject in an non patronising and compassionate way. The film is exceptionally cast with Felicity Jones as the mother, Sigourney Weaver as the Grandmother, Liam Neeson as The Monster and an strong performance by Lewis MacDougall as Conor. 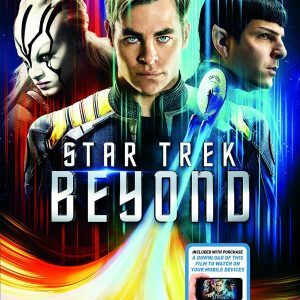 The movie takes the time to develop and focus on each character, some may find this slow but is realistic and well paced. The film is incredibly powerful and beautifully told with very few changes from the book, so fans will not be disappointed. It also incorporates illustrations and ink work as a nod to Jim Kays illustrations in the novel. It is also wonderful to see the balance of practical and computer effects to enhance each other rather than over power, from sculpture, miniatures and the monster himself to the watercolour story sequences. A book and film aimed towards children and adults alike, this is defiantly not a fun family cinema trip. That said, I feel it is important to watch due to its realistic subject matter and honesty. A moving film with wonderful story telling, will have the toughest viewer shedding a tear.